CRA audit activities extended to those who claim Disability Tax Credits (DTCs), especially diabetics and children with autism, has continued to raise the ire of taxpayers. The $1.3 Billion in tax relief has been inconsistently applied and retroactively disallowed. But if you qualify, you could go back and recover that lucrative tax credit – all the way back to 2008. It’s one of three important tax credits the vast majority of families often miss out on. It’s why I have covered the topic extensively in the 2018 version of Essential Tax Facts – How to Make the Right Tax Moves and Be Audit-proof Too. Here’s what you need to know: the DTC is a non-refundable tax credit which translates to a federal real dollar amount of over $1,200; close to $2000, depending on where you live in Canada. *Based on average combined federal/provincial tax rates of between 20 percent and 25 percent over the period. Who can verify the claim? It’s a prerequisite that a medical practitioner certify your claim; therefore an important fall project is to make the appointment to get the T2201 Disability Tax Credit Certificate signed. Who qualifies? A disabled person for the purposes of this credit is one who has a “severe and prolonged impairment in mental or physical functions.” When a taxpayer claims expenses for an attendant or the cost of nursing home care for a patient as a medical expense, neither that individual nor any other person may claim the Disability Tax Credit (DTC) or transfer it from that patient. But, the DTC can still be used if the claim for an attendant is less than $10,000 ($20,000 in the year of death). Expenses claimable for these purposes can include fees paid for nursing home residence, full time care in-personal residence, or care in a group home plus costs for a special school or detox centre, which may qualify as both medical expenses and tuition fee credits. But, this generally does not include “stop smoking” treatment unless part of a medical treatment prescribed and monitored by a medical practitioner. Recover Missed Credits. Remember that you can recover missed credits over a 10-year period by filing an adjustment to prior filed returns. A tax specialist can help you with this as well. 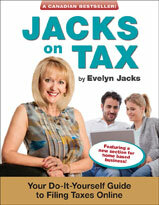 Excerpts from Evelyn Jacks’ Essential Tax Facts – How to Make the Right Tax Moves and Be Audit-Proof Too can be purchased online with free shipping! Help your clients claim complex caregiver tax credits – enhance your knowledge with the Advanced Income Tax Consultancy course.